Orange Chicken | I recently realized that my blog us NINE years old! Nine years is crazy! It made me go poking around in my archives and I came across this gem. This orange chicken post has been up on the blog for eight years. I had almost forgotten all about this orange chicken recipe. At one time it was one of my more popular recipes. So, I decided I needed to make it again and give the post a facelift. When I look back at old posts it’s like reading my diary from middle school. The posts are awkward and don’t even get me started on the photos. It’s embarrassing but I thought it would be fun to share how much things have changed. Dang! I had forgotten how good this recipe is! I remember I decided to make this one evening when I was suddenly hit with a craving for orange chicken, I could have picked up the phone and ordered some orange chicken. But, I wondered to myself if I could make it better at home. Turns out I was right! This recipe seriously delivered! Ha ha Chinese food…delivered….get it? I’m a dork. And more then satified my craving for orange chicken. Even though the post was awkward and the photo kind of hideous the recipe was still spot on. The sauce is sweet, tangy, there is no lack of orange flavor, and the red pepper flakes give it just a touch of heat. If you like your orange chicken extra spicy you can always add more red pepper flakes. My experience is that most orange chicken has a pretty heavy coating on it but I wanted something lighter and crispier. I thought I would dredge the chicken in cornstarch instead of flour to keep it light and also in Panko breadcrumbs to give it a little crunch. It was the right call. The chicken came out lightly breaded and still held a bit of a crunch when tossed in the sauce. Delicious! This recipe has a long list of ingredients. To help everything go smoothly gather and measure all of your ingredients ahead of time. Bread the chicken in small batches. Using one hand for wet and one hand for dry helps things from getting too messy. This recipe calls for chicken breast but chicken thighs can also be used. Before you start cooking make sure you have everything ready, including a plate or sheet pan lined with paper towels. Don’t walk away from the chicken while it is deep frying. The moment you do is the moment it will probably burn. The oil’s temperature will immediately drop when you add the chicken. Give the oil time to come back to temperature between batches. If the oil is too cold it will result in oily soggy breading. I like to place the chicken in a fine mesh strainer after dredging in the cornstarch to help shake off any excess. For the sauce to thicken it is important that is comes to a low boil. Once it starts to boil it will quickly start to thicken. Orange chicken is one of my favorite Chinese takeout dishes but, this orange chicken recipe probably beats them all. Chicken can sometimes get a bad rap for being boring but I like to think of it more as versatile. Chicken works well in any cuisine. If you’re in the mood for the Mediterranean try this roasted paprika chicken with Israeli couscous and chickpea salad. Looking for a creamy Italian dish try my skillet mushroom chicken. And, if you’re looking for something from the Carribean that is hearty and comforting try my favorite fricase de pollo. 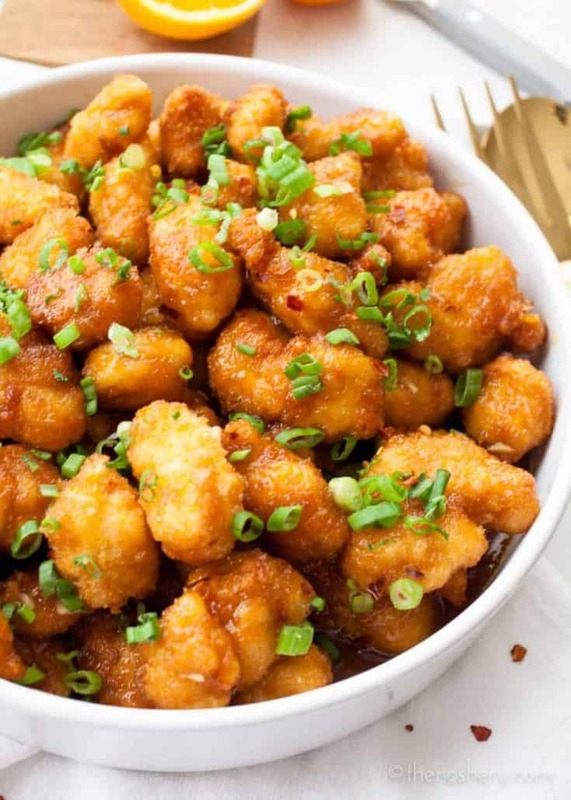 Orange chicken with a light crispy breading & a sweet and tangy sauce. There is no lack of orange flavor, & the red pepper flakes give it a touch of heat. In a large saucepan combine 1 1/2 cups water, orange juice, rice vinegar, soy sauce, and sesame oil. Blend well over medium-high heat for a few minutes. Stir in brown sugar, orange zest, ginger, garlic and red pepper flakes. Bring to a boil. 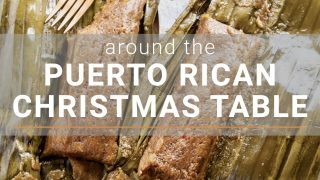 Combine 3 tablespoons of cornstarch with 2 tablespoons of water and mix thoroughly. Slowly stir cornstarch mixture into sauce, simmer and stir until it thickens. Hold sauce on the stovetop over low heat. Heat a dutch oven with vegetable oil to 355 degrees. Combine cornstarch, salt, and pepper. Prepare a bowl with beaten eggs, another with panko bread crumbs and another with corn starch. Dip chicken pieces in egg mixture, dredge in cornstarch, then again in the eggs and finally in the panko breadcrumbs. Working in batches fry chicken until golden brown and completely cooked about 4 minutes. Pour sauce over breaded chicken, toss, and garnish with green onions. OMG!! I just made. This and it’s unbelievable it’s probably on my top ten list of favorite dishes! YUMMY! This orange chicken is so delicious it has become my family’s favorite. This was incredibly yummy!! I ended up needing to use 1 extra egg and 1 extra cup of panko to fully cover the chicken cubes. I didn’t have red pepper flakes, so I used chili powder. We fried in peanut oil in a cast iron pan. The first batch got burnt because the oil got way too hot. But the 2nd and all the remaining batches were amazing! So delicious. To prevent the burning, I turned the heat down, to a bit higher than medium. It took a lot longer for the heat to get to 355 between each batch, but it stayed more stable that way. Then when I added the chicken I did not change the heat dial, so they seemed to cook at about 270-280 degrees for 4 mins. Perfect golden crispy. Reheated the leftovers in 400 oven the next day for 12 mins to get the crispiness again. How much rice vinegar . It doesn’t say in the above recipe? Just has a question mark next to it. I go edit things and just break stuff. I made the correction. Thanks. Oh real quick. How much rice vinegar? There is a question mark next to that and I forget how much I have added in the past. At my first job there was a chinese place in the mall near my office. I would drive over there quite a bit for their orange chicken. It was sweeter rather than spicy like most takeout places and I am not a fan of lots of spice. If I had known then that I could make this myself, I’d probably have eaten it daily! Does it freeze / reheat well? I have never tried to freeze or reheat this dish. I think though you would make it ahead, fry it, keep the sauce separate and then reheat it in the oven until warmed through and crispy. Again, I haven’t tried it but I think it would work. I am prepping it for freezing. I already prepared the chicken using 1/2 white and 1/2 dark chicken and flash freezing it before bagging in zip loc bags so the pieces stay separate. I read for the sauce, to prep fir freezing, to cook the garlic and ginger in a small amount of chicken broth to remove any bacteria. Then prepare the sauce ingredients without cooking, omitting the water, zest and green onions. Freeze separately in a zip loc bag. Place all bags in a larger bag with instructions for reheating and the date. When ready to serve, place sealed bag of sauce in bowl of warm water. Let it defrost a while. Then pour into saucepan and add the water. Towards the end of the cooking time add the zest. Garnish with green onions. Update and correction to above, I prepped the sauce ingredients, by combining in a bowl filtered spring water, freshly squeezed, orange juice, red pepper flakes, vinegar, soy sauce, 1/2 portion of sesame oil, brown sugar. I scalded the garlic and minced ginger briefly in 1/8 cup chicken broth. I poured the liquid ingredients without cooking into a 20 oz. Mason jar, then poured the chicken broth into the mixing bowl to melt the remaining sugar and poured into the jar. There was enough space left for the ingredients to expand a little during freezing. I did not add the 3 T cornstarch and remaining 2 T water. I will add that when preparing to cook and thicken when ready to serve, along with the orange zest. When ready to serve, I will add either the remaining portion of sesame oil or toasted sesame seed plus green onion. Possibly fresh Thai basil leaves. One of my favorite take out dishes! Definitely going to make this recipe! This sure as heck beats take out any day of the week! LOVE me some orange chicken! Can’t wait to try! What are the measurements for all the ingredients? I’m not seeing how much sugar, vinegar ect to use? Fixed! I apologize, I recently did and update and some of the recipes didn’t convert. I thought I got all of them taken care of but I must have missed this one. Thank you again for bringing it to my attention. I like you was in a tissy the other night, I wanted something different then my usual mandarin chicken. Amazing dish, I doubled the sauce and served on the side. Your measurements of ingredients are perfect, it really is the best I have had. I only used egg whites and cornstarch ( gluten free bread crumb are so expensive). Going to do shrimp next week. Thanks Meseidy, it’s a keeper. Looks fantastic! I’m trying this out tonight. I always look through the comments before choosing a recipe and noticed some issues with thickening so I added notes from your replies into my recipe document (to print) about maintaining the heat and noticed that in the ingredients for the sauce it says 2 tablespoons of water but in the directions it says combine 1/4 cup of water with the cornstarch. Perhaps that is the source of the problem? Unless I’m crazy and am converting it incorrectly. If so, sorry about the message! wow this look amazing I would like try this definitely. Try substituting bread crumbs with crushed up Frosted Flakes (yes the cereal). Then bake it instead of frying it. My fiance ate it up! I loved this recipe! Easy to make and great taste. However, I had the same problem as Jasmine where the sauce never thickened. I also mixed the cornstarch with water before adding to the sauce. Does anyone know how to remedy this? Try taking out some of the sauce from the pan mix it with the cornstarch and then put it back instead of adding the extra water. The only reason you can directly place cornstarch I’m a water mix is that it will clump up and not mix in/ dissolve properly. Good luck! Hope it works. Made this tonight and it was fantastic! Thanks so much for sharing Meseidy! I did this recipe last night and it was fantastic! We loved the breading with the panko and we had this over simple fried rice. The only problem was that the sauce never thickened, but instead had a sort of grainy texture. I added water and plenty of cornstarch mixed in like you suggested, but it never helped. It was very soupy and didn’t stick to the chicken. It was still really good though! Are you supposed to keep the sauce over heat while you pour the cornstarch mixture? I took it off the heat and when that didn’t work I put it back on the heat. Please help! Did you mix the corn starch and the 1/4 cup of water prior to mixing it into the sauce? If you just added water and then added corn starch it would probably stay grainy like you described. Hope that helps! Jasmine, like the post above said, the key is the mixture must be boiling for the cornstarch slurry to work. This was the absolute best orange chicken and my entire family loved it! The only change was we did not bread our chicken at all. I cut it up cooked it, and then left out the rest of the breading process. I doubled the sauce like most of the reviewers had said and then I just put the chicken in, and it was absolutely wonderful. This is a definite keeper, and we will be having it over and over again. This is the best orange chicken ever!! It was soooo good, I wouldn’t make any changes! Definitely a keeper. My family LOVED it!!!! This recipe was amazing. I made twice in the last weeks, Way better than Chinese takeout. I did add steamed broccoli and pineapple chunks in the end. I also garnished it with sesame seeds and scallions. Really amazing recipe. I served it with garlic flavored jasmine rice. This sauce was DELICIOUS. I did a lighter version for the chicken (olive oil on skillet) and added broccoli. It was SO easy. A huge hit in our house! Mil gracias! Esta receta es increible! Una de las diez mejores cosas que usted puede poner en su boca! This recipe is amazing! I just made it for my family and they loved it, my daughter actually conpared it a notable Asian restaraunt in our city! I did not have rice vinegar so I used apple cider vinegar and it’s still came out wonderful. Thank you so much for sharing this recipe, it will be apart of our dinner rotation! This recipe is phenomenal! I marinated the chicken with a mango lime seasoning this time so hopefully it comes out as excellent as it did the first time I made it. Thanku very much for sharing this amazing dish! I even doubled the sauce so I can have it as a dipping sauce for another meal. That is very sweet! I am glad your family enjoyed it. That is always wonderful to hear. This was delicious!! I followed the instructions exactly and the results were loved by everyone. For a small edit, I would suggest adding toasted sesame seeds at the very end for a light texture. Thank you! Very good and easy, panko bread crumbs made it so good. Made this last night – SO good!!! I cut the sugar back to 2/3 cup, and added in a few spoonfuls of marmalade (I use orange peels and vinegar for cleaning and the peels were already in the vinegar before I remembered I needed to zest them). I also added in some sambal oleck for heat. This is a definite keeper recipe! I’ve never had anything so delicious! I made this for dinner last night, and I couldn’t believe how good it was. Seriously, five stars! Thank you so much for this recipe! I made it and it turned out perfect! This recipe tastes just as good, if not better, than takeout! My only change: I used whole wheat matzo meal instead of the Panko bread crumbs. Perfect! Served up with fried rice and egg rolls, I couldn’t ask for a better meal! I used a short cut on this. I made the sauce but tossed it over frozen precooked popcorn chicken nuggets that I fixed. It was super quick and easy. Probably not as healthy or delicious but I didn’t have to fry anything. Just made it tonight! Delicious! Instead of doing two cornstarch dips, I used one. Chicken in cornstarch, then egg, then panko. It came out plenty crispy! Can’t wait to eat the leftovers tomorrow. Thank you! This recipe is amazing. I just made it and it is better than my favorite Chinese restaurant’s chicken. Amazing so easy and tastes bette than take out. I made this tonight for my husband and sister they both loved it and my 4 yr. old son ate 3 plates of it which is a big deal because I can hardly get him to eat. thanks for sharing. Oh and I ran out of egg so I used milk for about 1/3 if the chicken. Worked fine. To Norma up there! I just made this with gluten free panko crumbs (I get them at Fred Meyer) Also, watch your soy sauce. La Choy is gluten free but most soy sauce isn’t. This was a major hit! Thank you so much for your great recipe!!! Look forward to making this next week. I learned the secret of flour vs cornstarch when making a dish such as this and it seems to make a world of a difference. Try other starches like potato or tapioca I like both of those better than corn starch for coatings particularly potato it gives a great crunch but not heavy. When I use those starches I don’t use the egg dip just the moisture from the chicken makes the breading lighter. I am gluten free. can I leave off the bread crumbs? It was for my boyfriend and i so it was a bit much for two and id definitely say it is better fresh. Warmed left overs the next day and it wasn’t as good! Lost the crisp and was a bit soggy!!! Tried your recipe…Delicious! Having it again tonight at my honey’s request! I just made this recipe tonight. It was THE BEST orange chicken I have ever had!! I had 1.75 pounds of chicken and found I had plenty of sauce to cover it all. I put it over a plate of stir fry vegetables and I was in heaven. My 7 year old son gobbled it up and asked for more. Thank you sooo much for this recipe! I will never buy take-out again! This is so good!!!! I made this yesterday & it turned out great. I used potato starch instead of corn starch & omitted the egg wash. I also marinated my chicken in dr pepper before I breaded it. It made it tender & added some additional flavor. I also used 1/2 grapefruit juice & 1/2 orange juice. I needed to add a little extra sugar because of the grapefruit. It was a big hit at my house & I’ll certainly do it again. i made this last night — DELICIOUS! i would probably advise using less corn starch when preparing the chicken for frying. i used the recommended 1.5 cups and had lots left over — 1 cup may do the trick. either way, what a great recipe! i always order orange chicken from my local chinese place, and this is way better (and with much less salt!). We tried this recipe the other night and honestly it was THE BEST orange chicken I’ve ever had, restaurant or otherwise. The panko breadcrumbs and cornstarch really make the difference. I promise if you try you will honestly NOT regret it! YUMMMMMMMYYYYY! It was soooooo good we could not stop eating it. My family requested this 3 days in a row!!! Good thing I double the Orange sauce recipe.I did not double dipped the chicken in egg wash. I Just dipped it once, then corn starch then to the panko. Came out real crunchy and good! Ate this with Jasmine rice, broccoli,carrots,and snow peas. DELISH!!! We made this tonight and it was very good! Thank you for sharing! Orange chicken is my children’s favorite dish so I decided to try to make it. After searching the web, your recipe sounded the best so I tried it and it was good. The whole family enjoyed it. No leftovers. Thanks!! Hey, thanks! I made this tonight after doing a search for certain ingredients to make a boring chicken dinner a little bit more exciting. I’ve never made Orange Chicken before and had most of the ingredients you listed, so I figured I’d give it a try. I substituted some things and eliminated others, but it turned out great. My husband and I were fighting over the last pieces. Thanks, again! I found your recipe on pinterest and just made it tonight – it’s delicious! I may never go to Panda Express again as this Orange Chicken is much better. Thanks so much for sharing the recipe. listen…..any time I see Brown Sugar in a recipe I want to try it…….had never even thought about chicken + orange until I saw this……..the family and I just finished eating it and have to say it was DELICIOUS! I doubled the fresh ginger and garlic and red pepper…….everything else was exact. I laid ’em all out on a platter, covered the chicken with the sauce and sprinkled some sesame on top. Most assuredly better than any kind of take-out could ever be!!! Thank you so much for thinking of this and then putting it out there. Bless you. Has anyone tried this with less sugar? I am planning to make it today with brown sugar substitute, but 1 C. of sugar sounds like a lot. Has anyone cut the sugar in half? I purposely left out the pepper flakes during the cooking for the sake of my children but added a generous pinch onto my dish. Served it over brown rice. DELISH! Nice and crispy texture. Not gummy. The sauce was perfect. Any food that pleases my 5 year old daughter is a keeper in my book. I will be making this dish again! Made this for dinner tonight and it was delicious! Just as good if not better than Chinese restaurants. Thanks so much for the recipe! I make this sauce, then cook unbreaded chicken breasts in it. Very good and much less fattening. I made this tonight and loved it. My sauce came out very thin though, not sure where I went wrong with that???? But it tasted delicious anyways! A quick and easy trick to thicken a sauce is to make a corn starch slurry. Just mix some cornstarch and cold water and slowly add it to the hot sauce until you reach your desired thickness. You can do this with any sauce. These were awesome! I actually didn’t have any panko, so I replaced it with dry tempura batter mix, and it came out just fine. I LOVE orange chicken and am going to try this without cornstarch and ginger!!!! This is amazing, great tasting sauce and very crispy chicken. Wonderful combination, thanks for making a great order-in recipe! Even my boyfriend, who used to make his grilled cheese with a clothing iron, helped make this…It’s awesome! I came across your site from Pinterest. I made this tonight. It turned out great! I did have to add another egg and add more panko to finish up the chicken but no big deal! My husband LOVED IT! We put it over cooked rice with steamed broccoli. He said, “You can make this one again!” Thank you! Oh my goodness. I am drooling over here. This looks WAY better than takeout! Got to make this! Made this tonight… It’s DELICIOUS!!! Saw this on Pinterest and had pinned it to my board. Great recipe! I also found this on Pinterest. Your recipe is amazing! It will be in the regular rotation form now on! Hubby asked me to make sure and remember it and I ate far too much of it. 🙂 Thank you for an awesome recipe! Got off Pinterest…I like take out orange chicken ok, but it’s not one of my usual choices…holy smokes! This recipe is better than any I’ve tried! I will be making this instead of ordering out ever again! Thanks so much for posting!!! I had read your post a few weeks ago & had all the ingredients BUT the chicken. Finally had a chicken and some time………and WOW, what a great recipe. You are right, it is better than take out. I doubled your sauce, so there was extra to go on some pan fried noodles & veggies, then made a pan full of veggie egg rolls, so the table looked just like take out! Thank you so much for sharing!!! Will be repeating this recipe often! I was reading the recipe on orange chicken while eating take out chinese orange chicken thinking “WOW” I can make this! WOW – I love orange chicken or lemon chicken. This looks absolutely incredible! I can’t wait to try this. I love orange chicken but can’t do MSG that so many fast food places have. 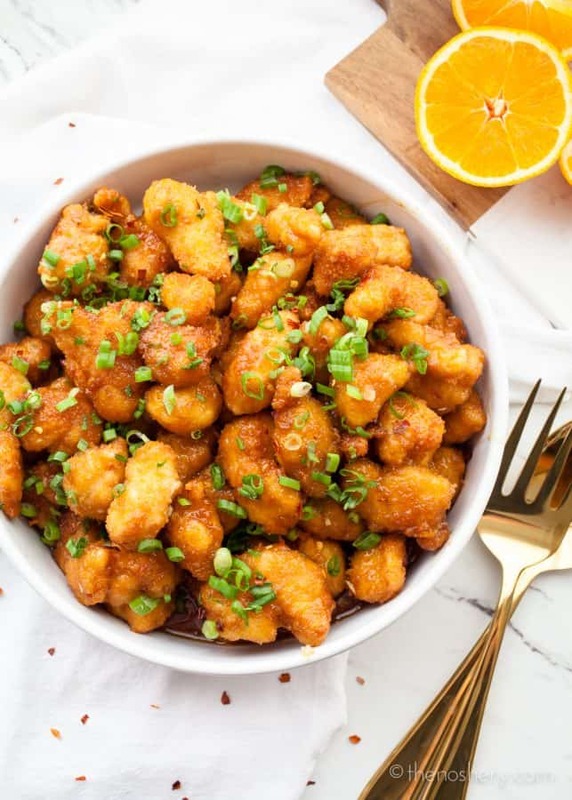 I can’t wait to give this a try, orange chicken is one of my favorites, and I haven’t tried very much Asian food in my kitchen! Can’t wait! Made this tonight for dinner and OMG was is amazing!!!! I would rather eat this orange chicken then go to a chinese restaurant for dinner! thank you thank you thank you for this delicious recipe!!! Thank you so much for this recipe! I have everything but the chicken! 🙂 Making this just as soon as possible…………you’ve made me hungry. I JUST made this and it is wonderful! Whole family is in love with it. The chicken to egg to cornstarch to egg to panko is very messy and difficult to do. I also almost doubled the ingredients here too. Time consuming. Anybody have any shortcuts? Anyway, it was still worth it. I didn’t dip the chicken in egg first so that omitted a step. Also, I put the cornstarch mixture and chicken in a tupperware and shook it all around, made it go a bit quicker as well. This wording sounds like there are only 2 bowls, one with eggs AND bread crumbs, and one with cornstarch. Trust me. This IS NOT a good way to do it. 🙁 I am not a frequent fryer 😉 so i didn’t catch it until I had done a whole batch and was very confused. I am trying it the correct way, with THREE bowls now 🙂 Thanks!! My Girlfriend and i made this delectable treat today for lunch. We couldn’t find panko bread crumbs at our local supermarket, so we decided to use Zateran’s chicken breading and it turned out AMAZING! The sauce was simply perfect. And the breading actually added great flavor and added a nice kick! Great recipe! Thanks for posting it! I just made this tonight and it came out amazing! Prep took a little longer than I would have wanted to spend on one dish, but my patience was rewarded in the end result. Thank you for posting this recipe. Excellent meal. Turned better than expected. My hubby had thirds! Thanks for a keeper recipe. Is there a good substitute for rice vinegar? I have white and apple cider vinegar, tarragon and red wine vinegar on hand. 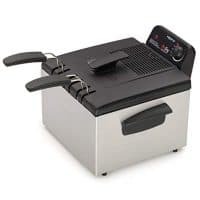 GGonna try this tonight…hoping that I can make it using my deep fryer and peanut oil – much neater that way…anyone? Delish! I’m going to try a tad less rice vinegar next time (or maybe my vinegar is too sharp because its going off?) but great recipe! Thanks for the link! This sounds like something I definitely want to try, especially since we are in the heart of orange season. This was an amazing recipe! I made this after finding the recipe on Pinterest and it was AMAZING. I did end up using 6 eggs and 3 cups of panko bread crumbs though, so the amounts listed might be a little off. The hubby and roommate loved this and we will definitely make it again! We made it, it’s fabulous. Truly better than takeout. Do it! funny , i googled “orange chicken” and this was the fourth one I looked at. Every one had exactly the same ingredients. Just saying ! Tried this recipe out tonight – it’s FABULOUS! I highly recommend! It’s a bit of work and mess but in the end it’s worth it! The sauce itself is great for more applications as well! I look forward to making it again! This was incredible – we all loved it! Thanks for sharing this recipe. Super! Excellent. I made it tonight. I did not follow the recipe exactly, but close enough. It is delicious. Thank you! Made this for dinner tonight with a few twists of my own and it was delish! I skipped the double cornstarching, used whipped egg whites instead of whole eggs, and whole grain bread crumbs. And for the sauce I used splenda brown sugar blend. I also added broccoli to the mix, it was great. It does make a lot of sauce, and as someone who is watching her calories I used 2 tbsp of sauce and shook it with 6 ounces of the chicken and it coated beautifully. Thanks again for the recipe I came across it via pinterest. I can’t wait to try this…with tofu. I’m a new vegetarian but orange chicken used to be my favorite thing to order as well! If it tasted of cornstarch you didn’t let it come to a full boil. Cornstarch and Flour when used as thickener has to cook or it is nasty. Just make sure it comes to a full rolling boil while stirring and it will not have that raw taste. I’m old so I’ve made every mistake in the book and I was always wanting to know why. I’m a science nut and cooking is science. This really is a good recipe and I’ve made it three times. The sauce is actually the best sweet and sour I’ve come across and I’ve tried a lot. I hope you give it another try. Just made this recipe as a first meal in my new place. Fan-freakin-tastic. My sauce was more brown than orange though, so we’ll work on that. Right on about maintaining a decent crunch level. Soooo tasty. Hubby found this and sent it my way. Hmmmm, hint much? Made it that night and I was a star! Thank you! It was deeeeelish!! 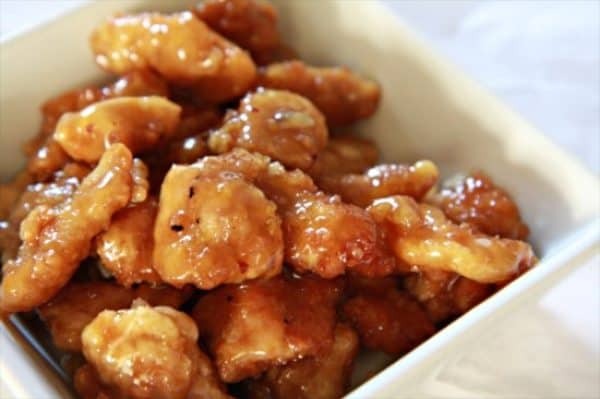 Orange chicken is one of my favorite dishes; and now, thanks to you, I can make it myself! Made this tonight… SO GOOD. Added green onions to the sauce (on accident – a delicious accident! ), and loved the flavor! Making this again in the future. We had this for dinner tonight and it was so good. Thanks! This was the best dish ever. I love it so much . Why go out to eat when you can make the best food at home.This website is so thorough and complete in showing the creativity and natural taste of food. I will definitely make this recipe. I just made this and I loved the flavor of the sauce, but it wasn’t thick enough! Any suggestions? The Pretty Little Chef posted this on facebook, and I had to come see the recipe! It sounds AMAZING!! We love orange chicken, so I’m definitely putting this one on the menu. Thanks for sharing such a great recipe! It really looks amazing! I’m going to make it but try to lighten the recipe some. Use egg white to coat the chicken and maybe bake the chicken instead of fry and cut the brown sugar amount down some. May taste as good as yours, may not..lol. Worth a try though. Oooh, this sounds so good. Thanks for sharing it on my facebook wall. I am pinning it and trying it very soon. I tried this tonight as I had repinned it on pinterest. The the husband and one toddler loved it, the other toddler kept biting/chewing, then spitting out. The only change I’d suggest is up the amount of eggs; i ran out of eggs and needed twice as many. Was having the same “what to do for dinner” moment, and saw the pic of this on Pinterest. Trying it tonight with the kiddos! Great recipe!… The Panko bread crumbs kept a bit of the crispiness, what a great idea! I substituted 6 ounces of orange marmalade for the OJ and orange zest. I also added some broccoli which I steamed seperately and combined at the end. I threw some cashews and green onions on top as garnish and served with Jasmine rice. Made it and love it! 🙂 Thanks! Just got done making this for the wifey.. we LOVED it! One question..In the ingrediant list for the sauce at the bottom it says 2 tablespoons water. I couldn’t figure out where this went in. This looks amazing…something which has to be cooked. Chicken with orange..really a great combination. Just made this about 2 hours ago for lunch. So damn good. Plenty of leftovers for work tomorrow as well. Thanks for sharing! This looks so delicious, I will try and make this for my family. Hi! I saw this recipe making the rounds on Pinterest so I added it to my must make list. We had it last Friday, and it is honestly one of the most delicious recipes I have ever made. I am still in awe over how wonderful it tasted. I can’t wait to make it again! I cannot cook and still somehow managed to produce a wonderful dish with your recipe and guidance. Thank you! I cam across this recipe today and knew i had to make it. I’m eating it now.. and oh man! this is soo goood. I halved the entire recipe but left the garlic and ginger the same. Also, added a bunch of red pepper flakes and it came out great. Thanks for the recipe! Pretty good chicken, reminds me of take out. For a healthier version you could prepare the chicken the same way but bake it instead of frying it. I also paired it with brown rice and broccoli. My husband loved it! What am I supposed to do here? Is it one bowl of eggs, starch, salt and pepper, one bowl of bread crumbs and another bowl of just corn starch? Needs a lot of clarification… a lot. I’ve tried lemon chicken but never orange. Looks good. This looks fantastic! I´ll have to try it. i gotta make this pronto. I’m making this for dinner tomorrow night for my family! 😀 It looks so delicious. I was just wondering if you use chicken breast and slice it? or what…? thanx!!! I have to try this. I also wish I could figure out how our local Chinese place made the peanut butter chicken they used to make. It had a peanut butter flavor without being sweet, and didn’t have the burn your tongue spice that other peanut butter chicken I’ve tastes has. I even tried peanut chicken and walnut chicken, and nothing even comes close to it. If someone reads this and knows what I’m talking about and how to make it, I’d appreciate being told! This was amazing! We just added a little chili oil and more red pepper because we wanted it hot. Just made it! It was quite the delicious selection and I recommend it. I made this a few days ago… That was definitely one of the best dishes I’ve ever cooked! I couldn’t find rice vinegar and had to replace it with a bit of balsamic vinegar though, but it was still absolutely fantastic. Next time I’ll try with a little bit less sugar, and a bit of lemon juice! Thank you for this recipe! This was a very good recipe!! Very easy and everyone in my very picky family LOVED it!!! I made this for dinner tonight. It was terrific! I loved the sauce. The breading was nice and light. Thanks for the recipe! That garlic and ginger helped a lot in enpowering the flavor of my orange chicken, thank you very much. Oh, my! That looks just wonderful. I love orange chicken, but I’ve never had a good recipe for it. Now I do! Thank you!!!!! I just prepared it this weekend, and it was a total succes!!! The only change i made was that i had to use powder ginger… i couldnt get it fresh (i live in Mexico), but i think the flavor was so good! Definitely, better than take out! Thanks for sharing! Tried this last night and it was wonderful. I love garlic, so I would probably add a little bit more to the sauce, but overall, it was spot on. Great recipe. Looks soooo yummy!!! Will surely try it! Thanks for posting! This looks fantastic, can’t wait to make it! I’d grub on that any hour of the day. nice work. I made this last night and we all loved it! I short-cutted the breading process by putting the chicken chunks in the egg, then into the cornstarch for a light toss, then quickly into the panko bread crumbs. Worked just fine. Thanks for the recipe! I just made this recipe, which was incredibly easy to follow btw, and it is AMAZING! Completely agree that it is BETTER than takeout! So thank you for the delicious recipe! great for lemon chicken. I’m going to try this one. This looks sooo good! The sauce sounds great! Wow, my mouth started watering just looking at the pics. I definitely need to make this… and soon! Thanks for posting. I’ve made this same dish and blogged about it befoe. You’re right; it really is good. 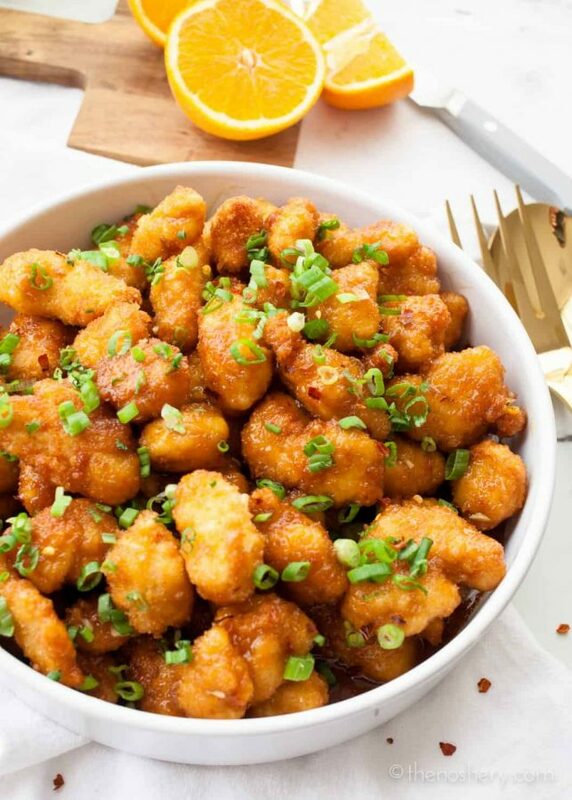 Oh wow this looks amazing I love orange chicken, thanks for posting the recipe! This looks superb! We don’t have any sort of take out where I live. So I am always trying to figure out things just like this. I have to try it, I love orange chicken! That looks wonderful! I love it when I figure out how to make a favorite “eat out” food at home — such a sense of accomplishment! We’ll definitely be trying this.